February 2012: Traveled to Nepal with a group of Inuit from Clyde River, Nunavut, Canada. In a high-latitude, high-altitude exchange project, the team visited and shared knowledge with Tsumbas, the Indigenous residents of the Tsum Valley, a remote Himalayan region experiencing rapid environmental change, much like parts of the Arctic. May 2011: Was awarded the 2011 Dr. Grant Ingram Distinguished Lectureship at the University of British Columbia. She shared the lectureship with Inuit experts and frequent research collaborators Esa Qillaq and Raygee Palituq. 2010: Led the establishment of the Kangiqtugaapik (Clyde River) Weather Station Network. A community-based network of automated weather stations providing near-real time weather information in Inuktitut and English to the Inuit community of Clyde River and the public. August 2010: Contributed to Ice is nice! : All about the North and South Poles, part of the Dr. Seuss books "Cat in the Hat's Learning Library" series. June 2010: Science profiled Fox's climate research and collaborations with Inuit hunters in an article called Trusting the Public. December 2009: Invited presentation "Using Traditional Knowledge in Climate Change Decision Making" at an official side event of the Inuit Circumpolar Council at the United Nations Climate Change Conference in Copenhagen (COP15). June 2009: The BBC filmed Fox and Inuit hunters working on the Igliniit Project for a documentary series Frozen Planet, released in 2011. August 2008: Fox and Lene Kielsen Holm (of the Inuit Circumpolar Council-Greenland) were invited to give the keynote address at the 6th International Congress of the International Arctic Social Sciences Association, in Nuuk, Greenland. April 2008: "Silavut: Inuit Voices in a Changing World" opened, featuring Shari Fox's research in Inuit communities. The exhibit ran from April 15, 2008, through May 1, 2009, at the University of Colorado Museum in Boulder. Silavut is now available as a traveling exhibit. For more information, see the University of Colorado Museum Web site. February 2008: Natural History magazine, featured an article about Shari Fox's work in Nunavut, "A Change in the Weather"
March 2007: Kalaallit Nunaat Radioa TV filmed Fox and collaborators in Greenland for "Inuit Isaannit Silaannaq," a documentary about the Siku-Inuit-Hila Project (Greenlandic). February 2006: Finished appointment to the National Academy of Sciences Study Committee on "Designing an Arctic Observing Network"
2005: Arctic Climate Impact Assessment (ACIA) was released. 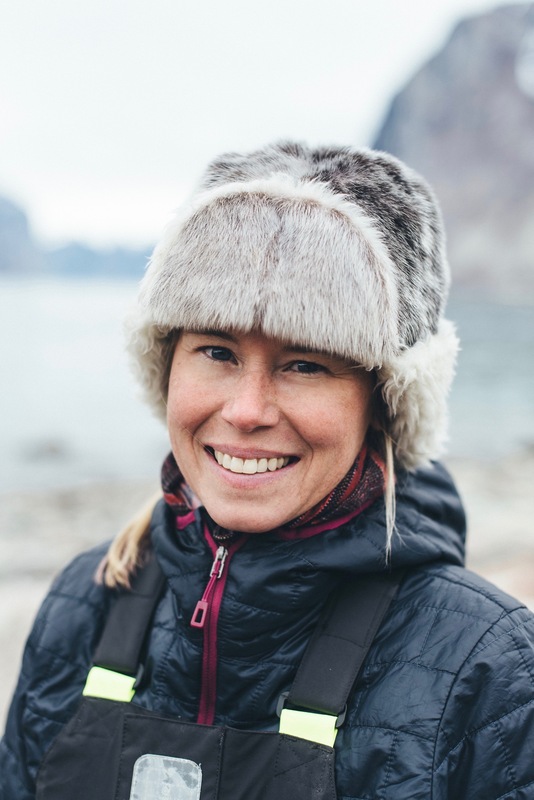 Fox was co-lead author of Chapter 3, "The Changing Arctic: Indigenous Perspectives"
Co-Lead Author, Arctic Human Development Report II, "Community Viability and Adaptation"
Huntington, H. P., P. A. Loring, G. Gannon, S. F. Gearheard, S. C. Gerlach, and L. C. Hamilton. 2018. Staying in place during times of change in Arctic Alaska: the implications of attachment, alternatives, and buffering. Regional Environmental Change 18(2): 489-499, doi:10.1007/s10113-017-1221-6. Huntington, A. P., A. Begossi, S. F. Gearheard, B. Kersey, P. A. Loring, T. Mustonen, P. K. Paudel, R. A. M. Silvano, and R. Vave. 2017. How small communities respond to environmental change: patterns from tropical to polar ecosystems. Ecology and Society 22(3), article 9. Huntington, H. P., S. Gearheard, L. K. Holm, G. Noongwook, M. Opie, and J. Sanguya. 2017. Chapter 25: Sea ice is our beautiful garden: Indigenous perspectives on sea ice in the Arctic. In Sea Ice, ed. D. N. Thomas. Chichester, United Kingdom: John Wiley & Sons, Ltd.
Johnson, N., S. Gearheard, J. Natanine, S. Elverum, et al. 2016. Community actions to address seismic testing in Nunavut, Canada: Building capacity for involvement. Practicing Anthropology 38(3): 13-27. doi:10.17730/0888-4552-38.3.13. Johnson, N., L. Alessa, C. Behe, F. Danielsen, S. Gearheard, V. Gofman-Wallingford, A. Kliskey, E. M. Krummel, A. Lynch, T. Mustonen, P. Pulsifer, and M. Svoboda. 2015. The contributions of community-based monitoring and traditional knowledge to Arctic observing networks: reflections on the state of the field. Arctic 68(5). https://doi.org/10.14430/arctic4447. Rasmussen, R .O., G. K. Hovelsrud, and S. Gearheard. 2015. Community Viability and Adaption. In Arctic Human Development Report II: Regional Processes and Global Linkages, eds. J. N. Larsen, J. N. and G. Fondahl. Copenhagen: Nordic Council of Ministers. Gearheard, S., L. Kielsen Holm, H. P. Huntington, J. M. Leavitt, A. Mahoney, M. Opie, T. Oshima, and J. Sanguya (editors). 2013. The Meaning of Ice: People and Sea Ice in Three Arctic Communities. Hanover: International Polar Institute. 412 pp. Elder, K., S. Gearheard, H. Huntington, G. Liston, et al. 2012. Meteorological tower design for severe weather and remote locations, Proceedings, 2012 International Snow Science Workshop, Anchorage, AK, Vol. 2, 968-975. Pulsifer, P., S. Gearheard, H. Huntington, M. A. Parsons, C. McNeave, H. McCann. 2012. The role of data management in engaging communities in Arctic research: Overview of the Exchange for Local Observations and Knowledge of the Arctic (ELOKA). Polar Geography. doi:10.1080/1088937X.2012.708364. Gearheard, S., C. Aporta,G. Aipellee, and K. O'Keefe. 2011. The Igliniit project: Inuit hunters document life on the trail to map and monitor arctic change. The Canadian Geographer 55(1): 42-55. doi:10.1111/j.1541-0064.2010.00344.x. Huntington, H. P., S. Gearheard, A. R. Mahoney, and A. K. Salomon. 2011. Integrating Traditional and Scientific Knowledge through Collaborative Natural Science Field Research: Identifying Elements for Success. Arctic 64(4): 437-445. Dowsley, M., S. Gearheard, and N. Johnson. 2010. Should we turn the tent? Inuit women and climate change. Études/Inuit/Studies 34(1): 151-165. Gearheard, S., G. Aipellee, and K. O'Keefe. 2010. The Igliniit Project: Combining Inuit knowledge and geomatics engineering to develop a new observation tool for hunters. In SIKU: Knowing Our Ice: Documenting Inuit Sea-Ice Knowledge and Use. Eds. I. Krupnik, C. Aporta, S. Gearheard, G. Laidler, and L. Kielsen Holm, 181-203. London: Springer. Gearheard, S., M. Pocernich, R. Stewart, J. Sanguya, H. P. Huntington. 2010. Linking Inuit knowledge and meteorological station observations to understand changing wind patterns at Clyde River, Nunavu. Climatic Change 100(2): 267-294. doi:10.1007/s10584-009-9587-1. Gearheard, S., and J. Sanguya. 2010. Preface. In SIKU: Knowing Our Ice: Documenting Inuit Sea-Ice Knowledge and Use. Eds. I. Krupnik, C. Aporta, S. Gearheard, G. Laidler, and L. Kielsen Holm, ix-x. London: Springer. Huntington, H. P., S. Gearheard, and L. Kielsen Holm. 2010. The power of multiple perspectives: Behind the scenes of the Siku-Inuit-Hila project. In SIKU: Knowing Our Ice: Documenting Inuit Sea-Ice Knowledge and Use. Eds. I. Krupnik, C. Aporta, S. Gearheard, G. Laidler, and L. Kielsen Holm, 263-281. London: Springer. Krupnik I., C. Aporta, S. Gearheard, G. Laidler, and L. Kielsen Holm, eds. 2010. SIKU: Knowing Our Ice: Documenting Inuit Sea-Ice Knowledge and Use. London: Springer. Weatherhead, E., S. Gearheard, and R. G. Barry. 2010. Changes in weather persistence: Insight from Inuit knowledge. Global Environmental Change 3: 523-528. doi:10.1016/j.gloenvcha.2010.02.002. Huntington, H. P., S. Gearheard, M. Druckenmiller, and A. Mahoney. 2009. Community-based observation programs and Indigenous and local sea ice knowledge. In Field techniques in sea-ice research: A sea-ice system services approach. Eds. H. Eicken, R. Gradinger, M. Salganek, K. Shirasawa, D. Perovich, and M. Leppäranta, 345-364. Fairbanks: University of Alaska Press. Mahoney, A., S. Gearheard, T. Oshima, and T. Qillaq. 2009. Sea ice thickness measurements from a community-based observing network. Bulletin of the American Meteorological Society 90(3): 370-377. Mahoney, A., and S. Gearheard. 2008. Handbook for community-based sea ice monitoring. NSIDC Special Report 14. Boulder, Colorado: National Snow and Ice Data Center. Stroeve, J., M. Serreze, S. Drobot, S. Gearheard, M. Holland, J. Maslanik, W. Meier, T. Scambos. 2008. Arctic sea ice extent plummets in 2007. Eos, Transactions, American Geophysical Union 89: 13-14. doi:10.1029/2008EO020001 . Barry, R. G., R. Armstrong, T. Callaghan, J. Cherry, S. Gearheard, A. Nolin, D. Russell, and C. Zaeckler. 2007. Chapter 4: Snow. In Global outlook for ice and snow, ed. United Nations Environment Programme, 39-62. Hertfordshire, England: Earthprint. Gearheard, S. and J. Shirley. 2007. Challenges in community-research relationships: Learning from natural science in Nunavut. Arctic 60(1): 62-74. Gearheard, S., W. Matumeak, I. Angutikjuaq, J. Maslanik, H. P. Huntington, J. Leavitt, D. Matumeak Kagak, G. Tigullaraq, and R. G. Barry. 2006. "It's not that simple": A collaborative comparison of sea ice environments, their uses, observed changes, and adaptations in Barrow, Alaska, USA, and Clyde River, Nunavut, Canada. Ambio 35(4): 203-211. Meier, W. N., J. Stroeve, and S. Gearheard. 2006. Bridging perspectives from remote sensing and Inuit communities on changing sea ice cover in the Baffin Bay region. Annals of Glaciology 44(1): 433-438. doi:10.3189/172756406781811790. Gearheard, S. 2005. Using interactive multimedia to document and communicate Inuit knowledge. Études/Inuit/Studies 29(1-2): 91-114. Huntington, H. P., and S. Fox. 2005. The changing Arctic: Indigenous perspectives. In Arctic Climate Impact Assessment (ACIA), eds. C. Symon, L. Arris, and B. Heal, 61-98. New York: Cambridge University Press. Huntington, H. P., T. V. Callaghan, S. Fox Gearheard, and I. Krupnik. 2004. Matching traditional and scientific observations to detect environmental change: A discussion on Arctic terrestrial ecosystems. Ambio 33(7): 18-23. Fox, S. 2003. When the weather is uggianaqtuq: Inuit observations of environmental change. Boulder, CO: University of Colorado Geography Department Cartography Lab. Distributed by National Snow and Ice Data Center. CD-ROM. Jolly, D., S. Fox, and N. Thorpe. 2003. Inuit and Inuvialuit knowledge of climate change in the Northwest Territories and Nunavut. In Native Voices in Research: Northern and Native Studies, eds. J. Oakes and R. Riewe, 280-290. Winnipeg, Manitoba: Native Studies Press, University of Manitoba. Fox, S. 2002. "These are things that are really happening”: Inuit perspectives on the evidence and impacts of climate change in Nunavut. In The Earth is Faster Now: Indigenous Observations of Arctic Environmental Change, eds. I. Krupnik and D. Jolly, 12-53. Fairbanks, Alaska: Arctic Research Consortium of the United States. Search for more articles by Shari Fox Gearheard in Google Scholar.